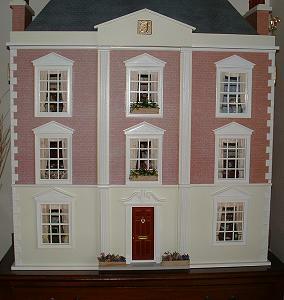 This is Joyce’s Georgian town house. 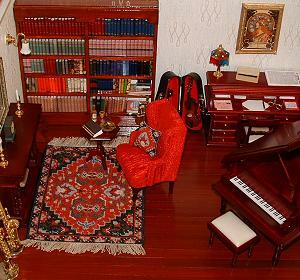 In the library she has an “Yvonne” carpet in front of the fireplace. She has taken a motif from the carpet to design a cushion for the armchair. 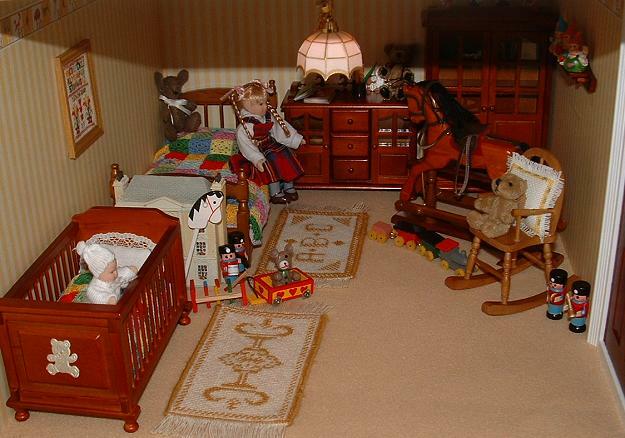 The picture below shows a nursery, with an “Alison (gold)” rug in front of the cot. She has then designed an “ABC” rug, in similar colours. On the wall is the “Hearts & Flowers” sampler. 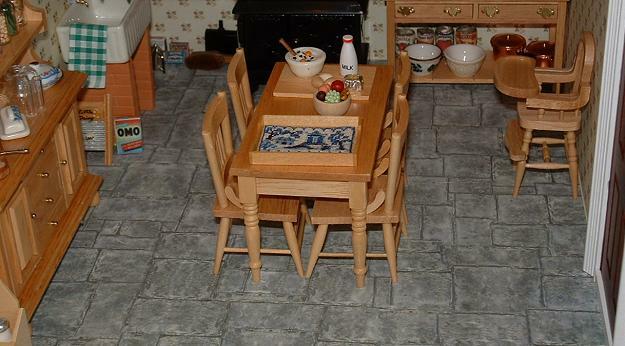 In the kitchen she’s stitched a “Willow Pattern” traycloth, for the tray on the table. 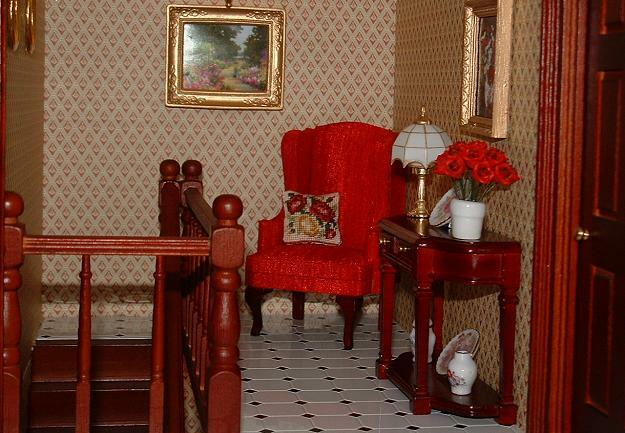 This comfortable armchair on the landing has a “Summer Roses” cushion on it. 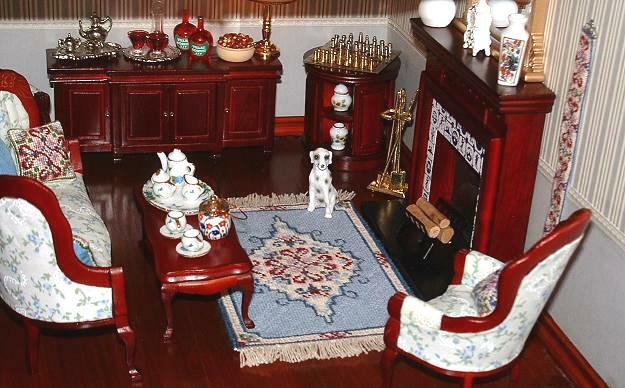 In this room there is a “Sophie” matching set of stitched items: a carpet, two cushions and a bellpull. 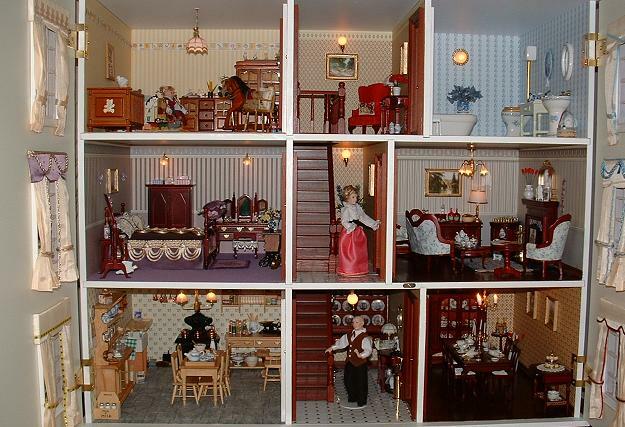 This gives the full view of Joyce’s lovely house.